Hassle-free admissions to help you focus on building your future. Check Individual Programs for more details for Program specific criteria. Minimum 50% marks in Class 10th and Class 12th and in graduation. CLAT ranking up to 10000/LSAT India score of 60% or above will be exempted from UPES Law Studies Aptitude test and will be invited directly for GD and Interview. CLAT ranking up to 10000/LSAT India score of 60% or above will be exempted from UPES-EAT and admissions through Merit Ranking. UPES provided me a platform where I can stand and see myself as a person who is comparatively more capable of facing overall challenges of life and turning my dreams into reality. Are you a Domicile of Uttarakhand? How is UPES sponsored ? UPES is sponsored by Hydrocarbons Education & Research Society (HERS) which is registered under the “Societies Registration Act XXI of 1860” (Registration No. S-41894 of 2002). HERS is a not-for-profit society promoted by a group of prominent professionals from the Industry. How has the University been created? Does it belong to the Uttarakhand State Govt./MoPNG/Oil Companies ? UPES has been created under an Act of Uttarakhand State Legislature notified vide Government of Uttarakhand Notification No. 830/Higher Education/2003-3(18)/2003 dated September 1, 2003. However, the Governor of Uttarakhand is the Visitor of the University and the Principal Secretary, Higher Education; Govt. of Uttarakhand is the “Representative” of the State Government on various Boards of the university. Is the University approved by UGC? What is the significance of Section 2(f) of the UGC Act, 1956? Are UPES courses recognized? Has UPES been approved by AICTE? Is there any such requirement? Under the AICTE Act and its subsequent Regulations, Universities established under a State or Central Act in accordance with Section 2(f) and 3 of the UGC Act, 1956, do not require AICTE approval. However, the Universities are only required to maintain AICTE norms and standards and require no prior approval of AICTE for starting Technical & Professional courses. UPES is a self funded University and does not receive any grant or financial assistance from the Uttarakhand State Government. The University is also not entitled to receive any financial assistance or grants from UGC or any other source funded by the Government of India. Will the degree awarded by UPES carry emblem of UGC or any other body? The degrees awarded by the University do not bear the emblem of either UGC or any other body. How is placements at UPES? Does a public sector company insist on AICTE approval? The University has excellent placement track. The campus placements since inception have 90%. For details, please visit each of the School pages for more information on our Placement records. Universities do not require AICTE approval for starting technical courses. Generally, the Industry goes by the reputation and credibility of UPES while making campus recruitment. Placements are done only through campus? Do these companies follow their normal recruitment process or have a specially designed format for UPES? Do I Require a Laptop? Keeping in view the rapidly changing nature and pace of technology, and more importantly, of student preferences for a smart device, the University has decided to adopt a CYOD (Choose Your Own Device) paradigm. a) It is mandatory for each incoming student to be equipped with a tablet or laptop conforming to the minimum specifications outlined below. b) The device should have legal operating system (OS) software pre-installed as specified below. Proof of ownership of the OS should be with the student and producible on demand throughout the duration of the enrolled program or while the student is present on campus – whichever is earlier. Additionally the same should be submitted by the student at the time of registration. c) The device should be capable of connecting to an external display device through a normal VGA port for the purposes of showing presentations etc. d) The device should be capable of connecting to a Wi-fi network and doing Windows Active Directory domain authentication of the user. e) The device should have capabilities of entering proxy server settings for the browser. f) The device should have an external keyboard and be able to connect to a remote server using the RDP protocol. g) The device manufacturer should have at least one authorized service centre or availability of requisite hardware service and support in Dehradun. The student is advised to confirm this before buying to avoid loss of study hours in the event of device malfunction. h) A student will be responsible for taking care of his/her machine including raising tickets for warranty/AMC support; adequate insurance coverage; and be responsible for its upkeep and maintenance as well as ensuring legal compliance of the system in line with OEM/ISV licensing policies throughout the duration of the program. Should loss/damage to the device occur, it will be the responsibility of the student to ensure timely rectification through the authorized service centre in Dehradun. Additionally relevant paperwork for filing an insurance claim will be the responsibility of the student. Operating System : Windows XP/Vista/7/8 Professional Edition [Mandatory] or Mac OS (Latest version.) Proof of ownership mandatory. a) A charge of Rs. 5,000/- (rupees five thousand only) will be payable towards provisioning of appropriate software, internet access charges and IT application support services to the student. b) The University will install a managed antivirus on each laptop/device (as applicable) entering the University network. This is for optimizing bandwidth used during virus definition updates and to ensure the device does not become a security threat affecting other users on the network. This installation is mandatory and the device will not be allowed on to the network without this. c) The University maintains appropriate access control systems that will prevent a student machine to connect to the University network should the machine not be in compliance with acceptable policies – specifically: The machine should have a legal, appropriately patched operating system, and a legal antivirus updated with the latest definitions and patches. d) The device should be used in conformance to the Acceptable IT use policy of the University. e) Microsoft Windows Home Basic/Premium editions will not be acceptable as these do not support connecting to a Windows Domain. The minimum level of operating system should be Windows Professional. f) While the University will take all reasonable steps to ensure adequate application and OS support for the device, the University will not be liable for any loss of academic hours due to hardware malfunctioning / improper functioning due to incorrect specification of the device. What admission requirements should applicants meet and how are they shortlisted for the Law test and interview? Applicants should have overall minimum 50% marks at Higher & Senior Secondary level (10th & 12th), UPES will conduct UPES Law Studies Aptitude Test (UL-SAT) followed by Group Discussion & Personal Interview. One can also apply on the basis of CLAT Score / LSAT Percentile or Board Merit. Refer Information bulletin (on Apply Now Tab) for more details. How many exam centers are there for UPESEAT? UPES conducts exams in 100 exam centers all over India. What is the eligibility for applying for UPES B.Tech programs? What is the date of examination (UPESEAT)? UPESEAT Online exams will be conducted on May 13 - 19, 2019. The last date to apply is May 08, 2019. What is the syllabus of UPESEAT? The syllabus would be same as that of JEE mains. What is the pattern of UPESEAT? From when will the UPESEAT admit cards be available for download? Admit cards will be available for download from 30th April onwards from UPES website. What is the exam date of various programs offered by UPES? Please check the School pages to know the examination schedule of various programs offered by UPES. What are the things required in Portfolio Presentation round for B.Des & M.Des ? · Bring any Physical Model / Prototype - i.e. something made out of Clay, Plastic, Wood, Card Board etc. What is Infrastructure and Hostel facilities, within campus or outside, and who controls it ? Residential blocks have been earmarked for limited on – campus accommodation (on first come first serve basis) separately for boys and girls on triple sharing basis. Apart from this there are good number of private hostels and paying guest accommodations suitable for students near to campus. UPES does not have any direct or indirect tie up whatsoever with the Private hostels and does not undertake any responsibility in this regard. Parents are advised to verify the data independently before finalizing any arrangement with the concerned hostel and also sign a written contract with the hostel owners. Parents are also advised against making advance payments without verifying the facilities themselves as also, they should insist up on a written contract with the hostel owner, which should clearly state the payment modalities for early withdrawal as also, arrangements during summer school if applicable. Where can we get the faculty details for different schools in UPES? Where is the Campus? Any campus apart from Dehradun? 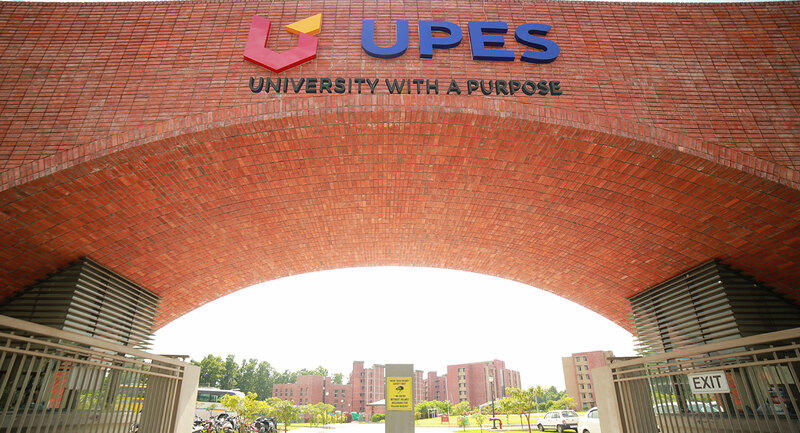 UPES is situated in Dehradun (Uttarakhand). It has only 2 campuses in Dehradun. 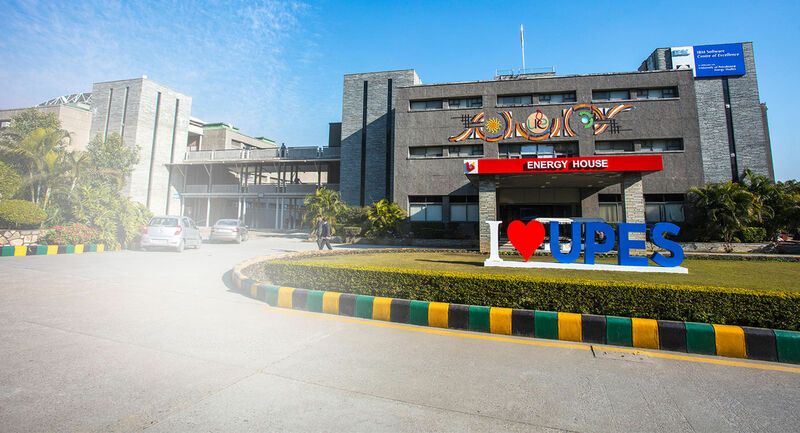 UPES Bidholi campus, known as Energy Acres, having programs offered under School of Engineering, School of Computer Science, School of Design. UPES Kandoli campus, known as Knowledge Acres having programs offered under School of Law and School of Business. Will I get a bank loan to pursue my education at UPES? Is UPES has any tie-up with nationalized / private bank? For the convenience and benefit of the prospective students of UPES, a formal tie-up is in place with India leading nationalized bank, State Bank of India & Oriental Bank of Commerce. The student can cover all his/her expenses e.g. Course Fee, Hostel etc., while applying for loan.